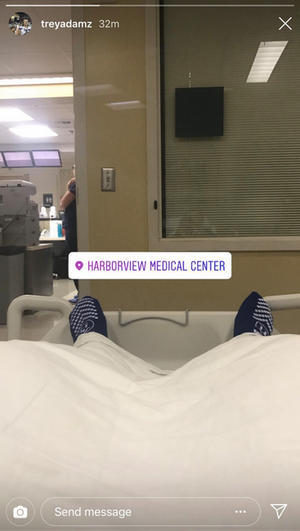 Trey Adams, Washington’s preseason All-American left tackle, posted a picture on his Instagram story page Wednesday from a hospital bed at Harborview Medical Center. Adams was scheduled to have surgery Wednesday, a source told The Seattle Times. A back injury kept Adams in Seattle last week while the Huskies traveled to Atlanta for the season opener against Auburn. The injury will likely sideline Adams for the entire 2018 season. The exact nature of the injury is not known. A 6-foot-8, 316-pound Wenatchee native, Adams is considering a return to UW for his fifth and final season of eligibility in 2019, a source told The Times earlier this week. Some had projected Adams as a possible top-15 pick in the NFL draft next spring. Adams missed the second half of the 2017 season after suffering a torn anterior cruciate ligament in his right knee. He had been on track to return from the knee surgery last month until the back injury surfaced. He said his surgery last October gave him a new appreciation for his time at UW. Junior Jared Hilbers made his first career start against Auburn at left tackle and played every snap last Saturday. 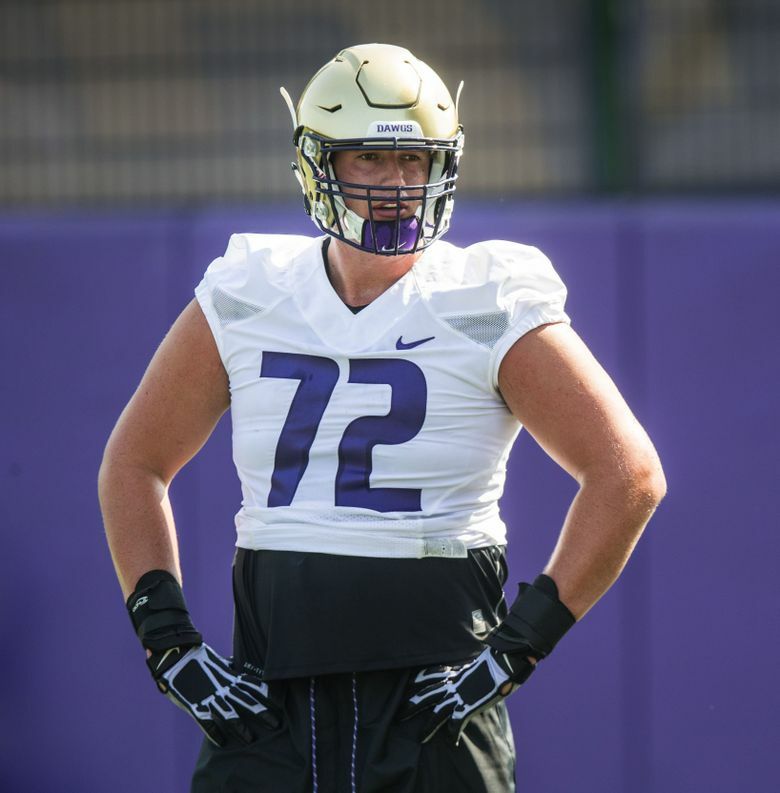 He’s listed as the starter for the Huskies’ home opener this week against North Dakota (2 p.m. Saturday, Pac-12 Network), with junior Henry Roberts listed as the backup at left tackle.